Previously we have discussed about how to make free international calls Hope you have not missed it. Now we will see how to make free international call to USA. There is no limitation. No Credit required. 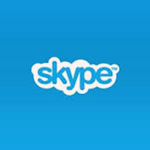 Call from anywhere to USA free of cost. You can call any number belongs to USA. For computer use this link and install Bobsled. Now type the USA number and call . No charge No limit ENJOY!!!! Thanks for commenting here. You can open up bobsled app on your PC and it will automatically open your default browser and bobsled homepage will be loaded. You can make call from this homepage only. Be sure your internet speed is fast else you might face some delay in transmitting your voice frequency. Thanks so much for dropping by a comment here. This is pretty interesting article and it ads value to the knowledge of the readers. Thanks for sharing.